It still amuses me to no end that as a child I was an extremely picky eater. I’m talking didn’t even eat spaghetti kind of picky. And all foods on the plate must not touch under any circumstances kind of picky. That, combined with my mothers inability to cook, at least explains why I was such a string bean of a kid. The first time I ever had tacos wasn’t until I was 11 or 12 and they put a Taco Bell in town. We never even had tacos at home before that because my mother doesn’t like them. Who in the world doesn’t like tacos!? So guacamole is something that is so foreign to my childhood that it is just amazing I ever decided to try the lumpy green stuff, much less that I like it. Now, I usually buy the 100 calorie packs that Wholly Guacamole sells for the sake of time. I was talking to my mom about what to bring over and she mentioned that some of her work friends were coming and somehow that lead to talking about guacamole. I said if I found ripe avocados at the store, I would make that. 1. 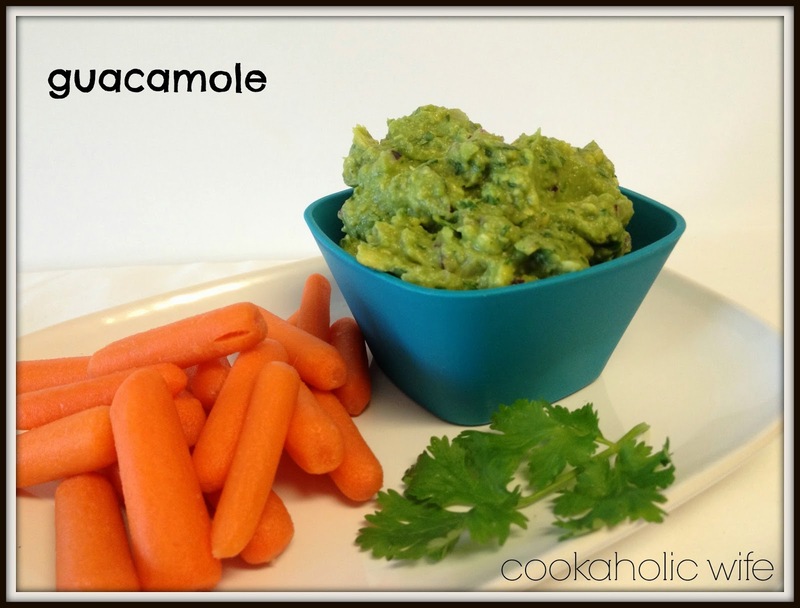 In a large bowl mash together the avocado, jalapeno, onion, lime juice, cilantro, cumin and salt until combined. 2. Transfer to a serving dish and serve immediately or cover with plastic wrap, touching the guacamole and refrigerate until ready to serve. 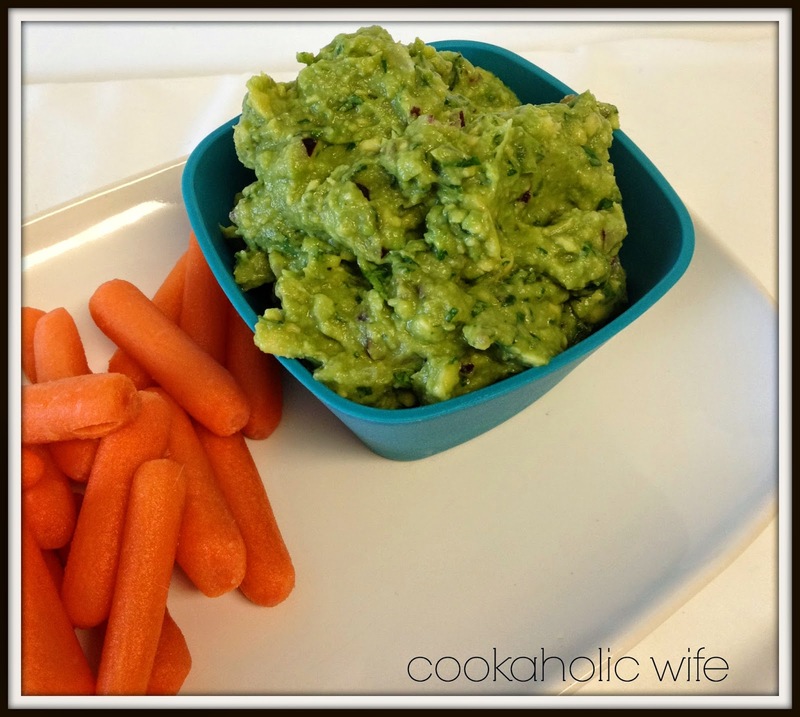 Even with the addition of lime juice, fresh guacamole turns brown very quickly. There is nothing wrong with it, but it’s just very unappetizing to eat. I decided to use this recipe because she includes jalapeno, red onion and cumin. Some people make it without and then their guacamole is just kinda boring.